Their programmes are designed and developed to equip students with job-ready skills. In a world where what you study and what you work as have little to no relation, it becomes a problem as more and more people get stuck in jobs that they don’t have a passion for. The world is becoming more dependent on technology, and there seems to be a shortage in people who are well adept in certain tech fields. Reaffirming that statement, Reuben Ch’ng the head of marketing for LEAD mentioned that while many of the workforce are well educated and possess a degree or even masters, they don’t necessarily have the skills relevant to certain job requirements in the market. “Many tech companies—large and small, are in need to hire skilled individuals such as data scientists, full stack programmers, mobile developers, IoT specialists, and digital marketers,” added Reuben. However, formal education such as colleges and universities do not produce individuals with skill sets that these tech companies are demanding for. 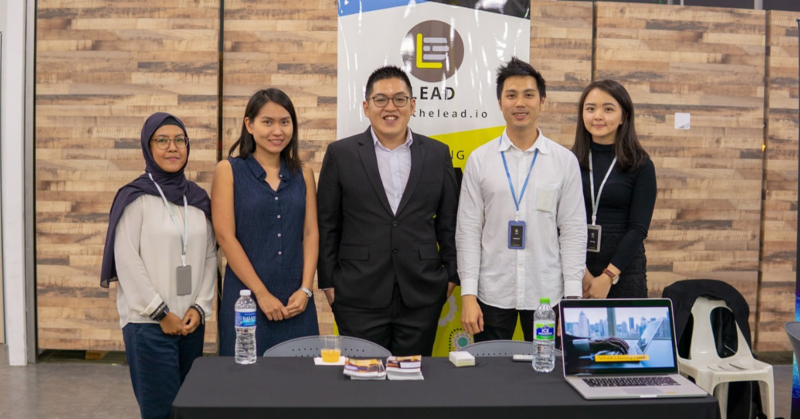 With a desire to share technical and business knowledge with people so that they can turn their ideas into reality, LEAD was founded by Dr. Lau Cher Han in mid-2015. The core LEAD team is a lean team of five with each member having a unique skillset that helped to contribute to where they are now. However their entire team is remotely based, they have content writers, video editors, and instructors who help with everyday tasks and events. Dr. Lau Cher Han is the founder of LEAD and a chief data scientist. Other than strategising and managing LEAD on a macro level, he spends a lot of time teaching data science and machine learning classes, speaking in events and webinars. Reuben Ch’ng, the head of marketing handles the marketing activities and strategies for each program launch. 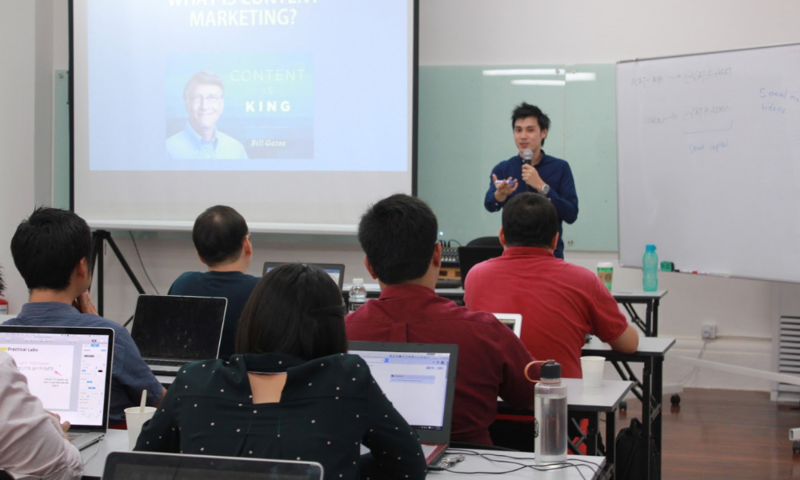 As a digital marketer and entrepreneur himself, he also acts as an instructor for the digital marketing programs and courses. In LEAD, they emphasise heavily on data science as a core programme and there’s a good reason why. Dr. Lau mentioned that data science won’t only impact the tech industry but other industries like logistic, F&B, manufacturing, and many others. “Gone are the days where data is only captured, collected and input by authorized personnel.” He added, “Today, everyone is free and in fact responsible to generate their own content and data. With the increasing number of mobile devices and IoT devices, soon everyday items, such as your microwave and washing machines will be generating data. Dr. Lau believes that eventually every company will become a data driven company. LEAD offers three main subjects: Data Science, Full Stack Programming and Digitial marketing. All their courses are designed with beginners in mind, so if you’re totally new to the scene, don’t worry about it. “You’ll find that most of our courses and programmes are filled with lessons that start at a fundamental level and it quickly ramps up into more advanced, industry-ready lessons,” added Reuben. However, they also have more advanced courses that do require a certain level of competency to join and they’re usually done boot campy style or as a focused online programme where students can log in anytime to learn at their own pace. As of 2019, the LEAD team are working with more industry-experienced instructors to introduce new courses like mobile development and Internet-of-Things (IoT) applications. Under the three main subjects, they have three types of courses at LEAD. Their 360 series are complete programmes: Data Science 360, Full Stack 360 and Digital Marketing 360. They take students through a complete programme where they’ll experience lessons through both physical and online classes. 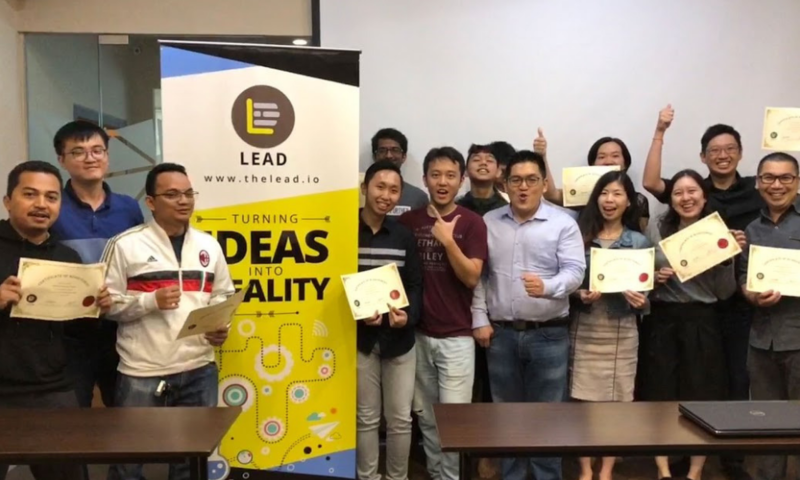 LEAD then has smaller focused workshops that focus to train certain skillsets, such as Python programming for Data Science or SEO for digital marketing. “Finally, we have online courses that are designed to be taken 100% online; such as Data Science Kickstart, Python Primer for Data Science and Facebook Ad Dive,” Reuben explained. LEAD isn’t the first in the market to introduce such courses but Reuben believes that they’re different. The courses offered aren’t theory-based courses, but are filled with actionable and practical lessons designed to train people with skills that they can use at their workplace. “The other thing worth mentioning is how we provide pre-course and post-course full-time support to our students, so every student can come back to a support system we’ve set up to ask questions, even after they’ve completed their courses,” mentioned Reuben. With over 300 students that have gone through their programmes, Dr. Lau has seen plenty of success stories with students even winning hackathons such as DataHack, one of the biggest data hackathons for data scientists. “As educators, nothing feels better than having your students coming back to thank you for helping and aiding in their journey into getting their dream jobs or starting their own startups,” added Reuben. However, it hasn’t been an easy ride for them as they had trouble finding the right instructors to take on the classes. As LEAD is focused around on learning efficiency, it’s a constant challenge to find the right talents with domain knowledge, industry experience, and teaching capability. Hence, one of the ways that they overcome that is by inviting potential instructors to share their experiences in some of the smaller events or to be guest contributors whenever a programme is run. “Our ultimate goal is to bring an impact in Southeast Asia by raising and inspiring 1000’s of aspiring data scientists, web programmers, tech individuals, digital marketers and startup founders,” said Dr. Lau. If you would like to find out more about LEAD, you can visit their website here and social media here.